Who said marriages are made in heaven? A 23 year old lady fell for a 31 year old guy because she fell in love with his personality on social media. They started dating, met each other, and then decided to tie the knot. This wasn’t the end of it, because the young lady went on to ink the guy’s Twitter handle on her wrist just a few hours before their engagement, to signify that he was the best thing that could have happened to her. Sounds like the script of a new age Bollywood flick, doesn’t it? Well, this happy love story happened over the internet, to be precise, on a social media network. Gone are the days when you had to completely depend on a ‘living’ cupid to so much as strike up a conversation with someone who caught your attention. Everything today is a click away, literally. If you are wondering whether you should take a step ahead and get in touch with someone who impressed you, at the risk of sounding cliched, at first sight, social media in many ways helps you cross that hurdle. Having said that, there are a number of things that you should be taking care of during this process. In no way should you be projected as a slimy stalker because if that happens, you have lost the game at the very beginning. Here are ten tips that you could use to talk to someone you have just met once, or even get connected to prospective dates. Twitter is an interesting platform that can give you an indication of a person’s likes and dislikes. The first step to know someone on social media is by following them on Twitter. Don’t jump start to strike a conversation, and learn to simply observe someone on Twitter. Tweeple usually voice their opinion as per their interests, which makes it simpler to understand what’s going in the mind of the other person. It is important to keep a note of all the common interests. Be it on Twitter or Facebook, it is essential that you use your common interests smartly when you strike up a conversation. This will also help in the future, if thinks click further. After all who doesn’t like to be noticed? On Twitter, if you really want yourself to be noticed the best way is to start ‘RTing’ the best post of the other person. Well, a lot of people end up clicking on the favorite button thinking that will impress the other person, but in reality, it triggers nothing. By ‘RTing’ you are actually agreeing and endorsing that person’s view. So get that clear! If you are lucky enough to get a follow back, don’t hesitate and go ahead introduce yourself. Don’t be a creep, be smart and make the other person comfortable. If you are looking for someone on Facebook make sure you send an impressive inbox message. Error free and less usage of emoticons is a must in the note. Never ever send a direct friend request. This move is a major put off. If you really want to impress, prove that you are genuine and subtly show that you are interested in the person. Again, no one likes a cheesy person on the first go, so be intelligent and take appropriate moves. ‘Poke’ is one of the oldest social media tools to grab the attention of the person. Poking is mainly considered to be an irritating notification by most of the Facebook users. Many interpret it to be a creepy way of stalking, so just avoid getting into the poking business in the beginning. These days commenting is supposed to be a great attention seeking activity on social media, and can be a great conversation builder. On the other side, one has to be careful and not get personal or emotional during this process. Comments fetching likes are most hot topic of discussions in a friend’s network. Ground rule on Facebook: if you like someone, keep liking whatever they post. A like always makes a difference on Facebook, and gets you noticed too. One thing that needs to be taken care is that random likes could prove to be an act of stalking. Like it with a lot of thought and smartness. Once you sense that the other person is responding positively, go ahead to take the next step. Strike up exciting conversations, and once you get a green signal you could ask the other person for a cup coffee, for starters. P.S. Lovely ladies, don’t shy away from taking that step if you get a positive response from a guy. At the end of the day everything boils down to how you take relationships seriously. Random commitments, fake impressions, will never work even if it is happening virtually. Being honest and making it simple is the best way to get a date fixed on social media. 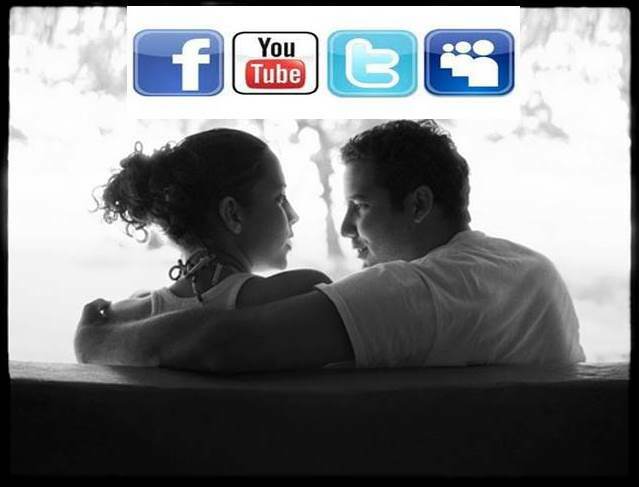 It is interesting to see how social media is actually helping users find their significant others. So what are you waiting for? If you want to impress someone, note these tips and hit the right chord. A story teller is what Priyanka describes herself. Priyanka was a former journalist with the exchange4media. With a diverse experience from journalism to events Priyanka is currently focusing on interesting blogging projects. You could follow her on Twitter @MissChotu.